This Delightful three folding card is shaped to the die-cut silhouette of the couple on the main flaps of the card. 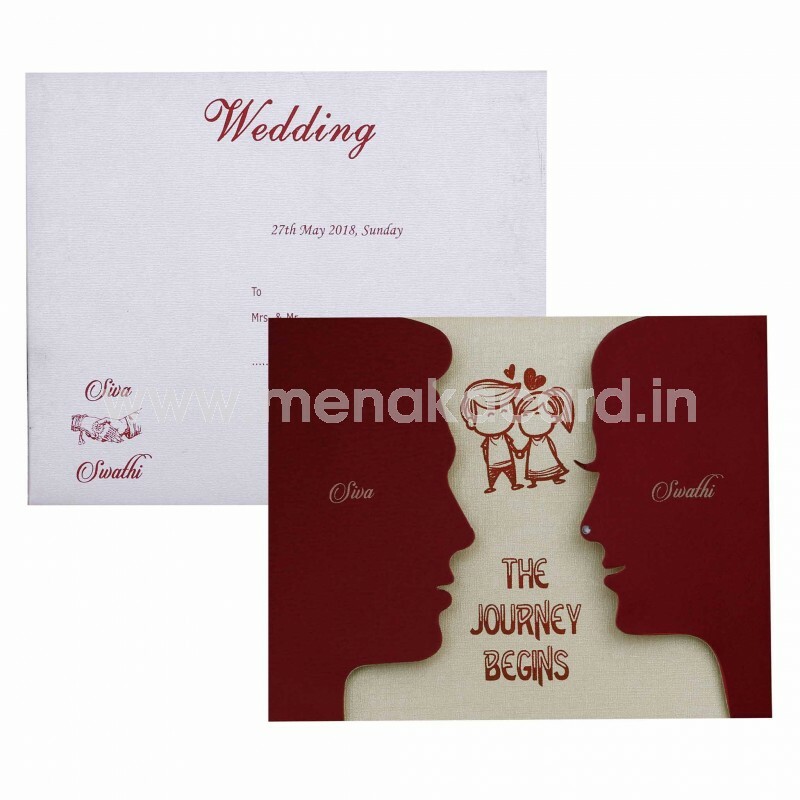 This card is made from a classy maroon shimmer board material and has a non-oven transparent sheet for any theme images or message as required. 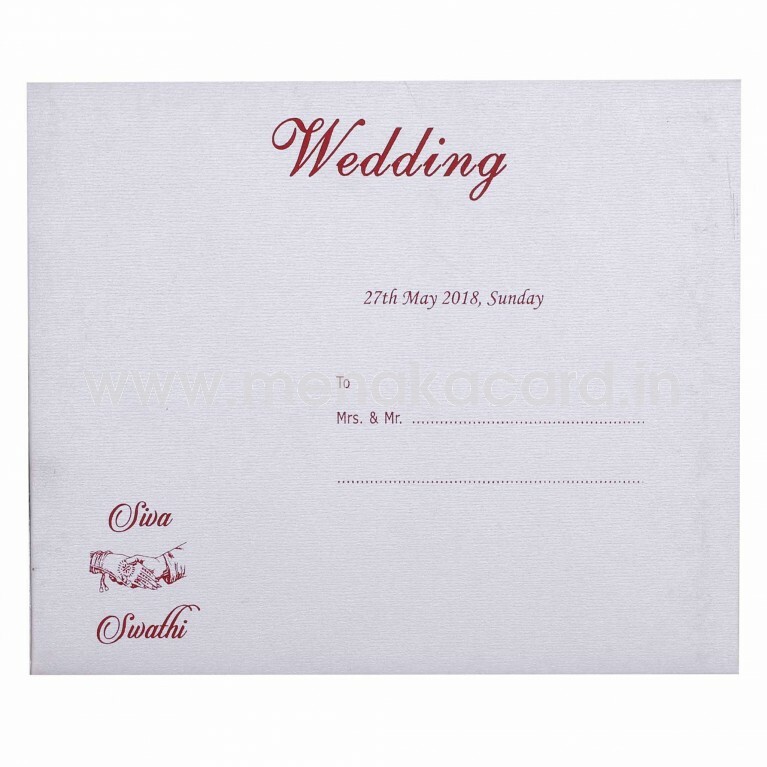 Beneath the sheet, and on the side of the card, the content of the invitation is printed in rich gold or silver ink that helps the design standout further. The simple envelope mirrors the design and ink on the card in material and print. 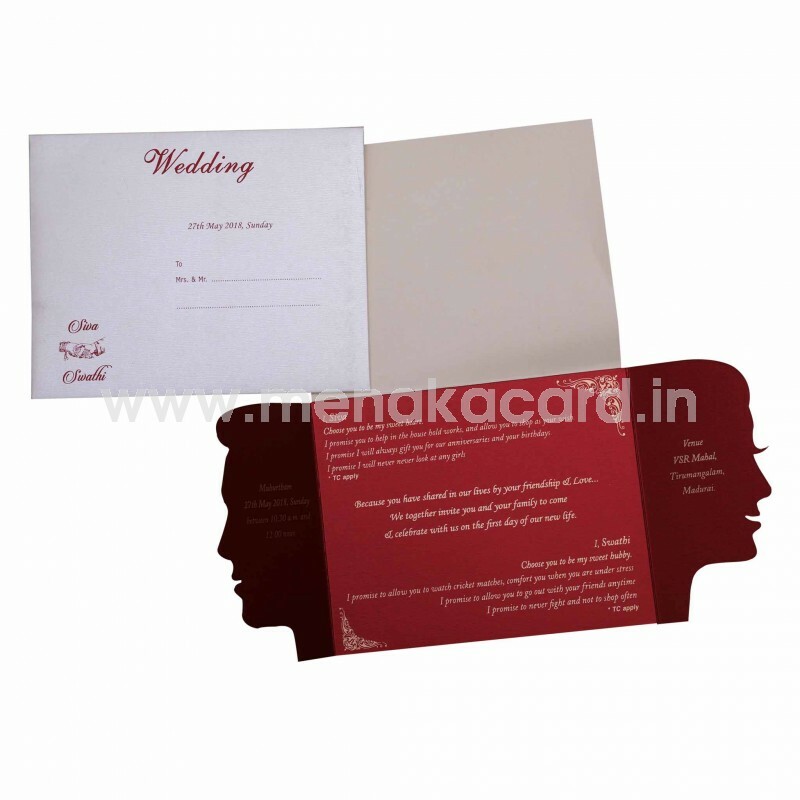 This card is generally used as a personal invitation for friends and colleagues.